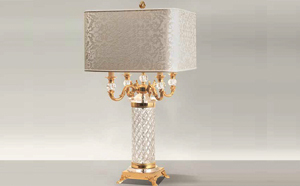 Luxurious chandeliers, wall sconces, and lamps in wrought iron, Murano glass, gold, porcelain, and plenty of crystal. Gorgeous lighting collection for the complete home featuring Chandeliers, Ceiling Fixtures and Wall Sconces in hand cast bronze, painted porcelain, crystal and gold. 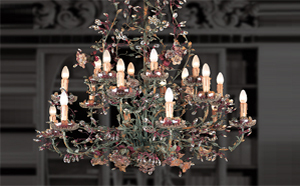 A truly one of a kind collection of lighting featuring Chandeliers, Ceiling Fixtures and Wall Sconces in delicate wrought iron and hand-cast bronze accented by crystal flowers. 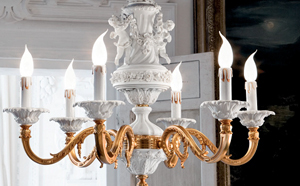 An assortment of lighting options ranging from Chandeliers, Ceiling Fixtures, Sconces, Floor and Table Lamps in crystal, porcelain, alabaster, bronze, gold and more. Sophisticated and beautiful table lamps in porcelain, crystal, precious metals and stones, with an assortment of shades to complement any room in the most special way.